We offer premium work done by passionate cyclists. 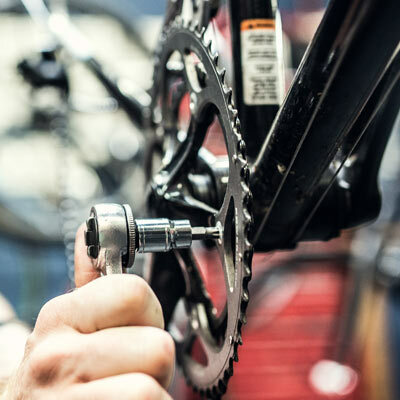 Every in-store Gearsmith is extensively trained in bike assembly, maintenance, and repair. This ensures every bike we service leaves in top working condition. 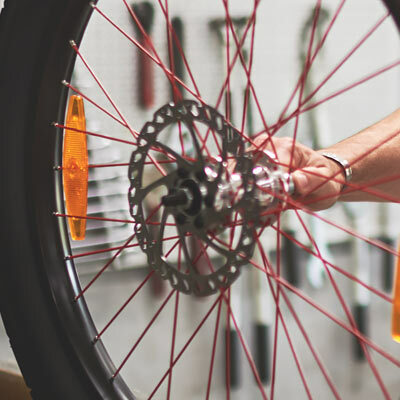 From simple replacements to advanced tune-ups, our full-service bike shop is the one-stop center for all things cycling. Overhauling old bikes, assembling brand new ones, and everything in between. No matter the service, our experts get the job done right. 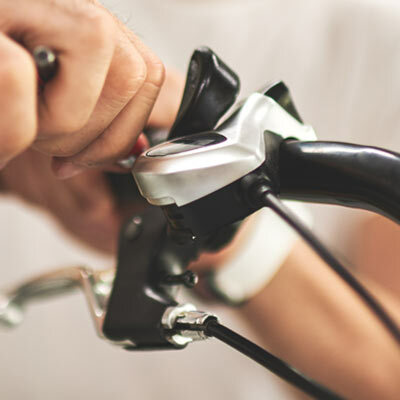 We inspect bikes end-to-end and ensure they’re ready to ride. Recommended once a year or every 1500 miles ridden, this service includes adjustments to the brakes, hubs, bottom bracket, and headset, as well as replacement of worn parts, truing of wheels, and cleaning and lubing of chain. All topped off with a complete safety check. Everything from the Basic Tune-Up, and then some. With the Advanced Tune-Up, we add cleaning and service of the bike’s entire drivetrain system to the inspection, adjustments, and final safety check of the Basic. We get old bikes running like new. With a Complex Tune-Up, our cycling experts do a complete overhaul of the bike’s drivetrain, hubs, and headset. We adjust the braking and shifting system, true the wheels, clean and lube the chain, and finish with a complete safety check. Not every bike needs a full-service tune-up. We offer various individual services at $15, $30, and $50 depending on difficulty. These include chain and tire service, brake adjustment, bike building, and much more. Service/installation of bike chain, pedal, crank brake pad, cables, tape & grips, handle, bar end, fender, saddle, tire repair, hub service, and racking. See a Gearsmith for further details. Service/adjustment of computer, brakes, headset, derailleur, bottom bracket, and disc brake. Brake lever installation. See a Gearsmith for further details. Bike building. Service/installation of fork, break, and derailleur. See a Gearsmith for further details.